For kids who grew up in the 80s, one incredibly popular pastime was playing Nintendo. 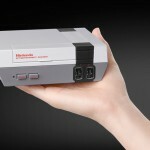 Having revitalized the US gaming market in 1985 with the NES, Nintendo had cemented itself as the new face of gaming with titles like Super Mario Bros., Ninja Gaiden, Castlevania, and The Legend of Zelda. Such enormous popularity of course resulted in LOADS of merchandise – action figures, masks, bed sheets, even breakfast cereal. However, for any gamer in the 80s, I’d say the true zenith of the nostalgia of the 80s gaming scene comes from one source. What exactly that source is, of course, is different depending on who you ask. Some might say it was the various 80s cartoons about video games. Some might say it’s playing the NES games. Some might say it’s the commercials. 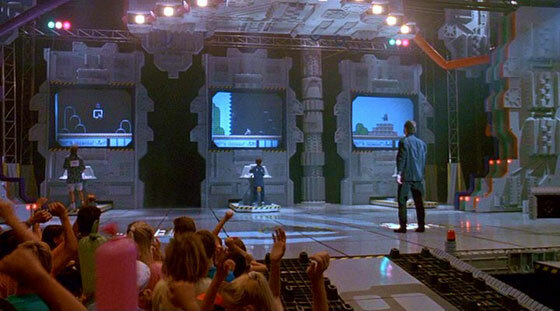 Well, for me, personally, I’d say that the height of 80s gaming nostalgia comes from the 1989 film, The Wizard. 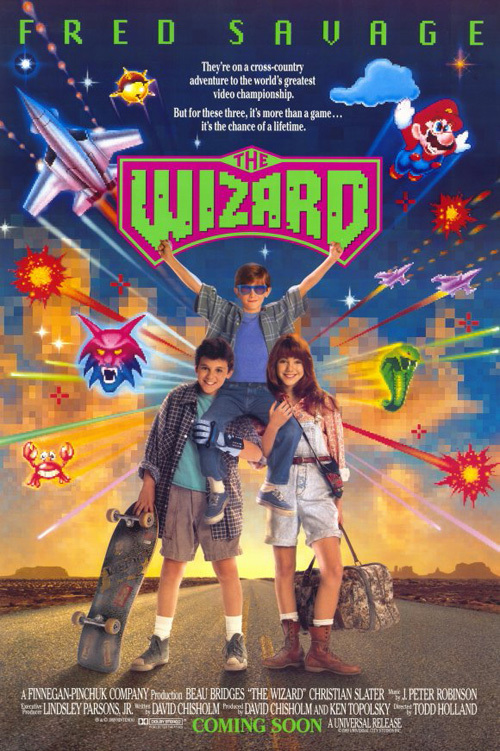 The Wizard is about a kid by the name of Jimmy Woods (Luke Edwards), a kid who seems completely focused on going to California (’cause all he can say is “Cali-fore-nia”) to the point that he’ll just wander off. After being placed in a mental institution, his half-brother, Corey Woods (Fred Savage), busts him out so he can finally put his wanderlust to rest. His family, however, is less than thrilled that their two youngest sons have left. Jimmy’s mother and stepfather hire some guy who’s apparently named Putnam (Will Seltzer) to bring Jimmy back. However, Jimmy’s real dad, Sam (Beau Bridges), isn’t too keen on the fact that Putnam’s only bringing Jimmy back, and he and his eldest son, Nick (Christian Slater), decide to bring them back themselves. On the way to California, Corey and Jimmy pick up a friend, a girl by the name of Haley Brooks (Jenny Lewis), who’s on her way back to her home in Reno. 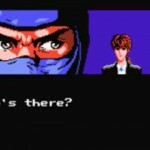 She takes notice of Jimmy’s gaming skills and sees, to her surprise, that Jimmy got 50,000 points in Double Dragon (an apparently great feat back in those days). From there, she suggests to the boys that Jimmy be entered in the upcoming video game tournament, Video Armageddon, coincidentally being held in California. The boys seem intrigued by this offer, and agree to it. From there, the three head off to Jimmy’s seeming destiny. Now, I wouldn’t say that this is a good movie. 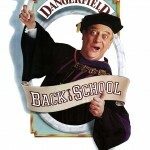 In fact, let’s face it, it’s pretty dopey when you think about it. The characters don’t act how like adults and kids should, and the scenarios they find themselves in look too unlikely to actually happen (almost as if they were badly written). I mean, let’s be honest, are we really expected to believe three kids can make it to California on nothing but their gaming skills? 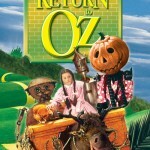 I WOULD say however, that The Wizard is a sentimental film for 80s kids. 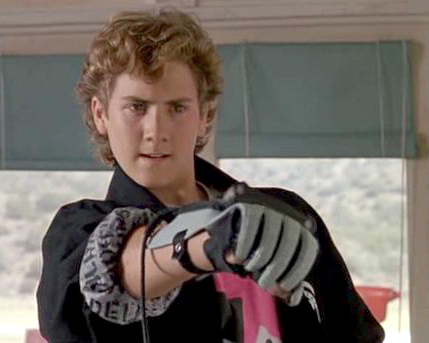 To this day, we still remember the infamous line from Lucas (Jackey Vinson) “I love the Power Glove. It’s so bad.” (indeed, it is bad, both figuratively and in the sense that it was a piece of junk), and how can anybody who was a kid into Nintendo games at that time look at the video games mentioned and not get misty-eyed? So, yeah. If you like video games, chances are The Wizard is for you. Yeah, sure, its plot is pretty unrealistic. Sure, it’s a movie-length Nintendo commercial inside your basic 80s family movie. Sure, it’s really just less-than-average-at-best 80s cinematic trash skating by on its 80s gaming nostalgia sentimentality. 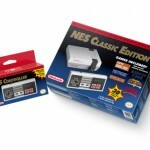 But to the generation of kids who grew up in the 80s with Nintendo, this is a must-see. I’ve never been able to find it for rent anywhere, but you can definitely buy it on Amazon, or at any small-time video game store. Watch the theatrical trailer for The Wizard.